Whether you are finishing the exterior or interior of an aircraft, achieving the perfect finish requires the perfect equipment. Thanks to Apollo Sprayers HVLP Turbospray systems and compressed air HVLP spray guns the perfect finish is achievable, time after time! The exacting quality and precision of the Apollo Sprayers HVLP spray guns offer performance unmatched by any other HVLP spray gun in the world. Using either HVLP Turbospray or Compressed Air HVLP (also known as conversion gun) technology, Apollo spray guns produce a minimum of 80-90% transfer efficiency, which exceeds all worldwide government regulations. This interprets to a 40% – 50% savings on coatings consumption. 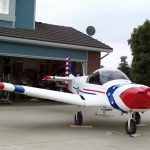 Proudly made in the USA, Apollo Sprayers HVLP Turbospray and compressed air conversion spray guns are capable of spraying airplane primers, basecoats and topcoats while maintaining the most precise results. Striping can be achieved with less masking and a cleaner stripe line since paint does not bleed under masking tape. Clean up is easy with marine grade stainless steel wetted parts in all Apollo spray guns. Variable pressure controls on Apollo Sprayers Maxi-Miser 2000 and 3000 turbine systems allow the operator to adjust the pressure within 0.10PSI, reducing overspray to a minimum. Imagine spraying in any work environment with virtually no overspray, it’s possible with Apollo Sprayers HVLP. 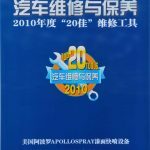 In 2011 Apollo was awarded second place in MOTOR CHINA magazine’s listing of “20 most innovative products exported into China”. Increased power in Apollo Maxi-Miser 1000, Maxi-Miser 2000 and Maxi-Miser 3000 enable you to produce ultra-fine atomization creating a remarkably consistent smooth surface all while achieving at least 80-90% transfer efficiency. Higher transfer efficiency prevents the addition of particulates into the atmosphere making the air cleaner for the equipment operator, lowers spray booth filter and maintenance cost and reduces pollution of the general environment. 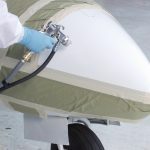 Apollo Sprayers offers a unique array of industrial Turbospray and Compressed Air HVLP Spray Guns to meet the demands of today’s airplane refinisher. Apollo’s award winning conversion spray guns let the operator have the control and precision of High Volume Low Pressure (HVLP) technology while using a standard air compressor. Whatever your power source, an Apollo Sprayers HVLP Turbospray system or air compressor, Apollo Sprayers HVLP is a powerful, precise addition to your equipment arsenal. For more information, please choose appropriate link for the equipment you need.